Those who already owned the iPhone 1stGeneration anticipated what might change, and those who wanted to get in on the excitement were ready to try something new. On June 9, 2008, Apple introduced the iPhone 3G at the Apple Worldwide Developers Conference in California, bringing with it the groundbreaking App Store and winning fans with the faster network speed. 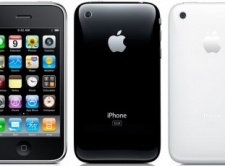 While there were some updates that didn’t come to fruition, such as improved battery life, many consumers were pleased with the new options offered with the iPhone 3G. Display screen = 3.5 inches (diagonally), 480X320 pixel res. The focus of the improvements over the iPhone 1st Generation with the advent of the iPhone 3G are not on the user interface. While much of the actual touchscreen usability remained unaltered, there were physical alterations of the buttons, moving from plastic to metal. One of the most common complaints about the iPhone 1st Generation was in regards to headphone compatibility. The headphone port on the original iPhone was so recessed that an adapter was required to use anything other than factory headphones. This port is no longer recessed with the 3G model so the adapters are not required. Users of the iPhone3G notice that the battery quickly depletes under heavy use. However, the enhanced protocol of the High Speed Downlink Packet Access (HSDPA) offers a higher capacity for transferring data and the 3G can be switched off to 2G talk-time to save on battery life when the consumer is not using music or videos. With the iPhone 3G consumers are also able to use data at the same time they are using the voice calling option, making it easier to look up information on the internet while having a conversation. The speed of the data transfer is one of the most appreciated aspects of the 3G when compared to the 1st Generation iPhone. The HSDPA provides users with a speed that is twice as fast as that with the original iPhone. The transfer rate with the 3G improved to at least 200 kbit/s. With the 3G improved speed was not necessarily the talk of the technology. The introduction of the App Store began with 500 applications that integrated third party apps. Users had to create iTunes accounts and there were some complaints about syncing these between phones and computers, but the excitement over the App Store offerings minimized those complaints. Also included with the 3G was the arrival of an expanded email platform and new GPS turn-by-turn navigation program. Consumers who purchased the white iPhone 3G reported on average more cracks in the casing than those who purchased the black phones. As popularity grew for these iPhones so did the offerings of cases to protect the phones and touchscreens. The camera on the iPhone 3G introducing the geotagging feature, even if it is the same megapixel device. One other perhaps inadvertent advancement with the introduction of the iPhone 3G is the rise in mobile shopping, especially through iTunes and the App Store. Consumers can instantly buy and play songs while on the go as long as they have an internet connection. The iPhone 3G is only slightly newer than the iPhone 1st Generation, however there were significant software upgrades that made playing in mobile casinos much more user friendly, and the best online casinos definitely took advantage of the improvements. Below we list our favorite casinos for this 2008 Apple device, broken down by region. 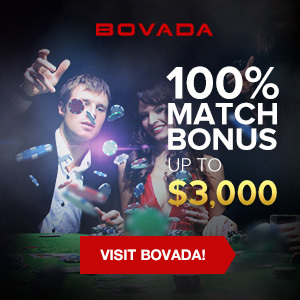 The best mobile casino for players living in the United States is the Bovada Casino, in our humble opinion. They simply have way too many mobile casino games that look great on smartphones, including older models like the 3G, so we have to give them our full stamp of approval. Those living in England, Scotland and Wales have a ton of mobile casinos to choose from, however the best one for older Apple devices is definitely the 32Red Casino, who have always strived to cater to iPhone users. They have a huge selection of mobile games, and some of the best customer support in the online gaming industry. As you will read many times on MacCasino.net, the Bodog Casino is our #1 recommended mobile casino for anyone living north of the 49th parallel. They are the best both in terms of mobile games offered, and in terms of reputation, so if you live in Toronto and are still clutching on to a iPhone 3G, Bodog is the place for you.